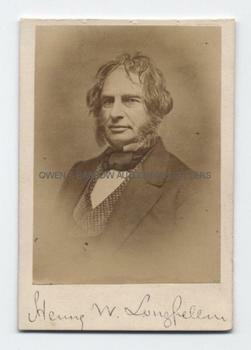 HENRY WADSWORTH LONGFELLOW Signed Photograph. American poet. Best known for 'The Song of Hiawatha'. Carte de visite photograph, circa. 1855, by the London Stereoscopic Company. Signed on mount below image. 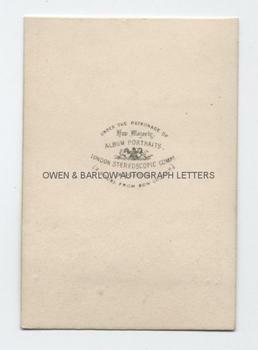 Photographs signed by Longfellow are rare.